This post is written for the quarterly link-up with Emily P. Freeman, and contains some of the various things I’ve learned this fall. Enjoy! 1. I was surprised to discover how much I like The Greatest Showman! Since I work at the library, I tend to see what books and movies are popular and well-liked. I don’t consider myself to be a musical-loving person, but after seeing and hearing folks rave about The Greatest Showman, I knew I should at least give it a try. I surprised myself when I almost instantly fell in love with the show. It is flashy and bright, but is refreshingly innocent, and is laced with a beautiful story based in part on the life of P. T. Barnum. If you like music, the music in The Greatest Showman is phenomenal! I found it interesting that the main star of the show is in fact the same actor who I had seen as Wolverine in the past. On first glance, the parts appear so different, but in the end, perhaps not as much as it seems. Both characters have the shared trait of really caring for others and sacrificing on their behalf. You can read about some of the different characters in the show here, and about the actors who played them. 2. After 20-30 years, I finally replaced my wallet with a crossbody clutch, and am loving it. You read that right. My durable hunter green leather wallet is at least 20 years old, and possibly as old as 30. I can’t remember whether I got it just before I was married (which would bring the date to close to 30 years), or shortly thereafter. Either way, although the outside was surprisingly intact (proving my theory that it’s definitely worth the money for real leather! ), the inside was embarrassingly worn. In my quest for a new wallet, it came to my attention that my current leather purse (I’m a one-purse kind of gal, so it’s my black L. L. Bean handbag until that ones wears out) is kind of heavy. Often when I shop, I find the weight hurting my shoulders. So I started looking into those clutch style wallets, and finally decided that one with a long strap would indeed be the most practical. I found my final choice on Amazon, and have been so thrilled to carry far less with me when I shop. I figured out that I really only need my phone, my money and some cards with me, and can even squeeze in a comb, chapstick and a couple other tiny items, about ninety percent of the time. Many of the extras can live in my car. 3. Canada’s Wonderland SkyRider stand-up coaster was retired in 2014. In the last post of What I Learned, I mentioned how I think I am giving up roller coasters. One of the last and most exciting/scary ones I rode was Canada’s Wonderland’s stand-up coaster, Skyrider. As I was enjoying perusing the various coasters I used to ride along with viewing some of the new ones, I was a bit sad to learn that Skyrider retired in 2014. Not that I was planning on riding it again, but it signifies the close of another era in my life; one where I was much younger, more adventurous, and more physically resilient. Did you know that you can virtually “ride” most roller-coasters by viewing a video online? Check out these videos of the various coasters at my favorite homeland amusement park, Canada’s Wonderland. Below is another one of my favorites from my teenager days, my first metal coaster that went upside-down, Dragon Fire. Perhaps, like me, it will be just enough of a ride for you. 4. Studies show that flowers are good for your health. In my current devotional book by Bonnie Gray, she mentions that studies show flowers to be good for our health. You can read about the scientific health benefits of flowers, and perhaps next time you’re at the market, pick some up for your own benefit. 5. We may hear spring peepers in autumn. Apparently, these tiny musicians don’t know or care if it’s the correct season, and can be heard in some parts of the country in the fall. 6. Most Amish farms are not organic and they do use pesticides. Do you assume that the Amish must farm organically? I mean, they are known for their simple living and non-modern practices, so that may have been my assumption, too. But just because these farmers are Amish, does not mean that their farms are organic. Either way, I still love learning about this devoted and interesting group of people. It’s refreshing to think about living more simply, making everyday labor fun, and the strong value of community that help to make the Amish famous. I would love to sample some of their delicious home-cooked foods as well! 7. I recently discovered For King & Country and then learned of their difficult start. I found a new favorite Christian music group this summer and have enjoyed listening to the music of For King and Country since then. It was interesting and not too surprising to read that their family went through some very difficult times early on, and to learn how this shaped their music. I’ve always known that music can be born out of our emotional and circumstantial experiences, both good and hard, and that it can in turn affect our emotions strongly. I’m so thankful for the gift of music. It can assist us in telling our story, in reflection, in worship, in questioning, and in celebration. 8. Many Swedes are already using microchips inserted into their skin. As scary as it sounds, many of our Swedish friends are having a microchip inserted under the skin in their hand, allowing them added convenience for some of their daily activities. This sounds like the space-age stuff we were always warned about as kids, but I guess it is already becoming a reality in this technologically advanced society. I don’t know about you, but although I’m all for convenience and advancement in technology, I plan to keep my keys and credit cards in my handbag for the time being, and out of my skin. 9. Mums can be damaged in frost or freezing conditions. Growing up in Ontario and living much of my adult life in Massachusetts, chrysanthemums are a welcome sign and celebration of fall. They tend to be very hearty and can withstand cooler temps, which makes them suitable for climates that experience colder weather for part of the year. But this year when I was choosing my fall flowers from the farm stand where I work, my farmer friend informed me that frost can damage mums and they won’t necessarily survive freezing temperatures. I didn’t really know that, and for the first time, I opted to cover my potted mums with an old sheet when the temperatures started heading towards freezing. Wouldn’t you know that they lasted longer and looked more beautiful? 10. “Vocation” and “calling” are nearly the same word. I really enjoyed reading a series of blog posts about vocation and found it most inspiring. Our word vocation derives from the Latin vocare, “to call.” Therefore the words calling and vocation are often used interchangeably. Vocational training in modern times has come to refer to technical training required for and leading directly to a trade such as nursing, technology, or culinary fields. Used this way, a vocation is a job or trade requiring a specific set of skills and technical knowledge. In contrast, many believe that a vocation or calling is, as Frederick Buechner is often quoted, “The place God calls you to is the place where your deep gladness and the world’s deep hunger meet.” (1) In other words, a vocation is found at the intersection of your passion and abilities and the world’s needs. No wonder that when we do what we love, it feels akin something deeper than just fun or work. I love how we are created with so many unique desires, dreams, and abilities within us, whether we use them in our paid jobs or in other meaningful areas of our lives. When we use the gifts that God has given us, it makes us feel more alive, and we can best influence those around us for good. Well, that sums it up for another round of What I Learned. Why not consider keeping a record of things you are learning? It’s a wonderful way to reflect on a small part of our lives. Please feel free to share something you are learning in the comments below. I’d love to hear from you! So many things we must PROTECT. As I think about the theme, “protect”, I am considering the plants I have been working with these past two years. I was a teachers’ aide for ten years until a couple of years ago, when circumstances changed and I was no longer needed in my position. At that time, I helped to protect little (and some bigger) lives and souls in a loving Christian school. Since then, I’ve had the opportunity to work in an indoor microgreens farm, and am currently working in the greenhouses of a “regular” farm. So I’ve been thinking a lot lately about plants. Little plants need much protection in order to grow and flourish. They require good, nutritious soil to nourish them, consistent watering to quench their “thirst”, and sun (or light) to help them reach their full potential. We also protect them from insects and animals who would eat them for lunch or a snack. Plants also require physical protection from the extreme temperatures and natural dangers of the weather and environment. Like plants, we also need protection, and to provide it for those in our care. I need to discern who and what I am to protect, and do it wholeheartedly. My first help comes from the Lord, the source of all protection. Secondly, it’s good and healthy to accept and invite the help of others around us with their love and wisdom. I also need to protect myself, in order to grow and flourish to be all that God wants me to be, and in order to be the protection that others need. As I accept the protection I need from God and others who love me, I can in turn, reach out in strenth and offer shelter to those around me. I close with a Psalm that speaks of God’s protection. 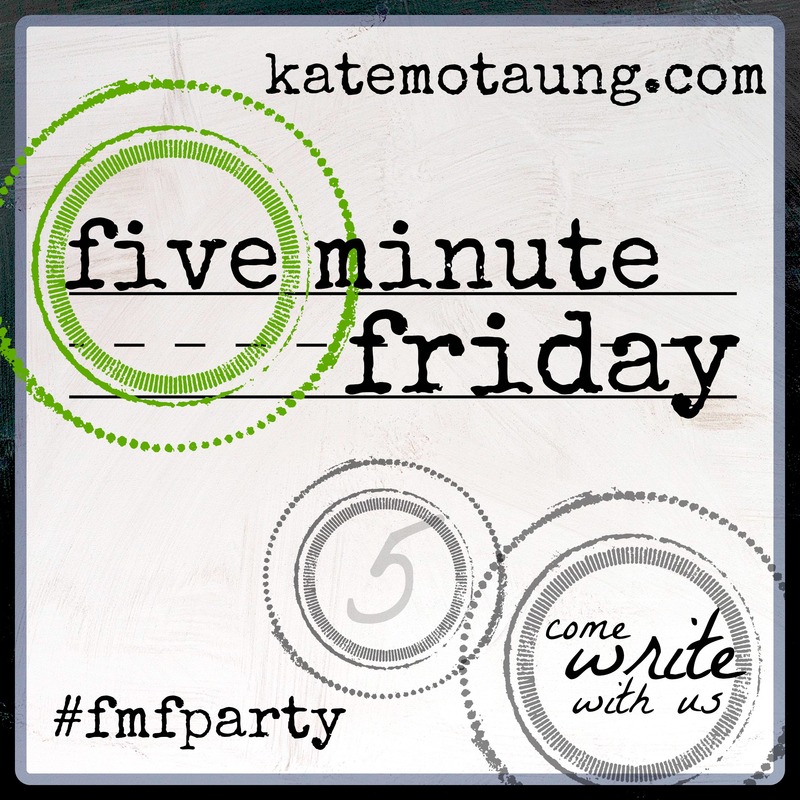 I’m linking up with many other bloggers today at Five Minute Friday. Feel free to join me there and read more views and ideas on today’s theme of “protect”. As I sit in front of my computer contemplating the meaning of rest, I realize and have to admit that I really need it. I was so excited to find a new place to link-up and share this morning with a wonderful group of bloggers (hosted by Kate at Heading Home). I proceeded to spend a little quiet time reflecting while I went out into the beautiful new-summer weather to water my plants and feed my little hummingbirds. Then I came in and attempted to do something technical, and after what seems like way too long, I am feeling frustrated and overwhelmed. I am frustrated that I have so much trouble with technical things, and overwhelmed because my day is quickly going by and I feel behind. Am I the only one who has days or moments like this? How appropriate to write about the word “rest” today! And I find it even more timely to be given the opportunity and the challenge of writing for five minutes without editing. For this recovering perfectionist, that’s big. And it begins to speak to me of what rest is really all about. What is true rest, and why is it such a struggle to find it in our modern lives? I know that for myself, rest is primarily about two things, which are intricately related. It’s about my relationship with God my father, first and foremost, and secondly, it’s about caring for myself. In order to experience true rest, I need to stop and do just that…..rest. My first priority is to spend time with the One who knows and loves me, because he created me. I need to take time to listen for his still, small voice and read the Letter he left for me. The Bible is truly the personal road map for my life. When we spend with Christ, both talking and listening to him, we will find true rest for our souls in his quiet presence. I also believe that in a practical sense, we also need to give ourselves permission to rest. No; we need to make sure we prioritize rest. Especially as women, we have a natural tendency to take care of everyone and everything, and while this is a God-given gift, it can easily become an overwhelming responsibility. The need for sleep, quietness and time alone, time with people who love and encourage us, doing something creative, taking care of our health, and sometimes getting away from it all, is something we cannot take too lightly. Even our Creator set the example to take time to rest. In truly resting, we will find our true selves, our purpose, and the motivation and energy to live a life of purpose that glorifies God. Lord, help me to trust you and find rest. I’m linking up today (for the first time), with a wonderful group of bloggers on Five Minute Fridays. Please join me here and see what some others have to say about today’s word of the week.